Tangiers Group has thrown its full support behind MOAS efforts to aid Myanmar refugees, one of the world’s most high-profile humanitarian crises. 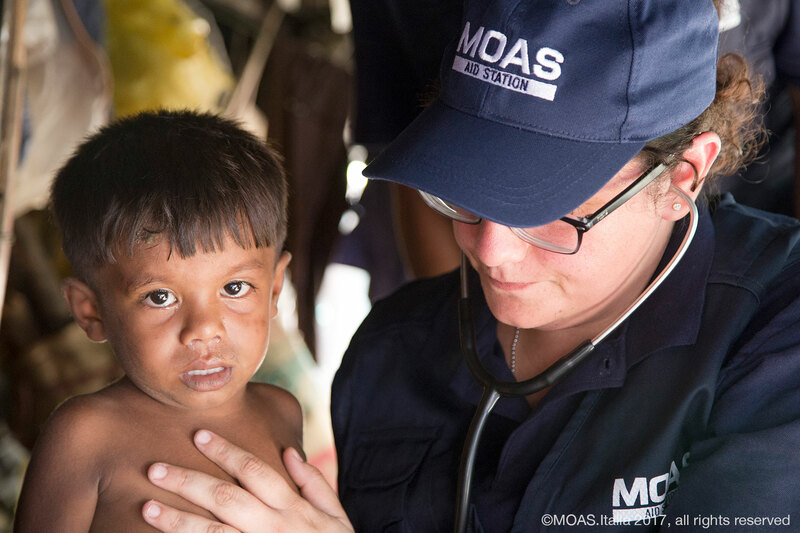 MOAS, an international non-profit founded by Regina and Christopher Catrambone, has dispatched a team of medical professionals to Bangladesh where thousands of the Rohingya ethnic group have fled following persecution in neighbouring Myanmar. The Rohingya, numbering more than one million and labelled “one of the world’s most persecuted minorities”, have been forced over the border in their hundreds of thousands following treatment that has been described as “apartheid-like” by international observers. The Aid Station, inaugurated by MOAS in mid-October, is currently providing both primary and secondary medical services with a focus on antenatal, postnatal and paediatric care as well as working to address the high rate of malnutrition among the refugees. For MOAS, which was set up in response to the tragic deaths of migrants attempting to reach European shores, the operation in Bangladesh represents an expansion of its capabilities and focus, from solely conducting sea-rescues to also operating on land. MOAS’ flagship search-and-rescue vessel, the Phoenix, arrived in the region in September and, by mid October, an on-site clinic had been established in the small fishing village of Shamlapur to deal with the influx of hungry and frightened men, women and children. Capitalising on MOAS’ background in maritime rescues, the Phoenix is also being utilised to transport vital supplies to the Aid Station, with the next delivery expected to arrive from Malaysia on November 1. More than 1,000 refugees have received assistance so far from MOAS’ medical staff, comprised of 49 Bangladeshi and Italian nationals including a medical director, a medical logistician, eight doctors, six nurses, a midwife and two pharmacy assistants. Sasha quoted the United Nations in describing the situation in Bangladesh as “the world’s fastest growing refugee crisis” and explained it represented an expansion of MOAS’ focus to incorporate wider-ranging responses to humanitarian crises. “MOAS’ role initially was providing search and rescue services at sea, but it has now expanded the scope and extent of its humanitarian and relief activities in order to mitigate human suffering where it’s needed most,” he said. In fact, MOAS is already well-acquainted with the particular challenges of operating in South East Asia having previously conducted search-and-rescue missions in the Andaman Sea, to the south and west of Myanmar, where migrants regularly attempt perilous and often deadly crossings. Sasha explained that MOAS had the full support of Tangiers Group and that they would continue to provide as much assistance as possible to the team on the ground. Copyright Tangiers Group. All rights reserved.